We promote inclusivity with education and leadership training. Nurturing talent to bring out our best. We’re committed to constant improvement and believe the only way to achieve this is by championing the diversity of our people. 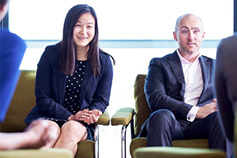 This starts with everyone at KPMG, from the newest graduate to our most senior leaders. Once we understand and respect one another, we can begin to achieve great things together. 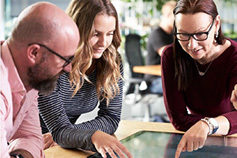 Unconscious Bias training: KPMG conducts training to help our people avoid making quick, unconscious judgments and assessments of people and situations. 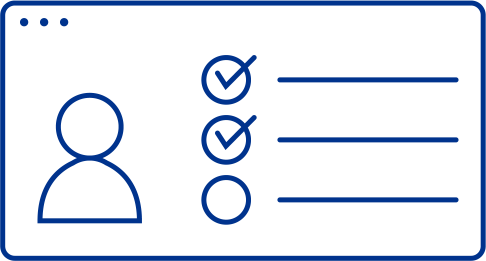 These biases may be influenced by background, cultural environment and personal experiences, and the training helps to address them in hiring, development and assessment situations. Culture Wizard Program: KPMG subscribes to a cultural training platform called Culture Wizard. An online university for building global business skills, it offers a range of resources to help our people adapt to new locations and cultures quickly and easily. Accommodating unique needs in the workplace.